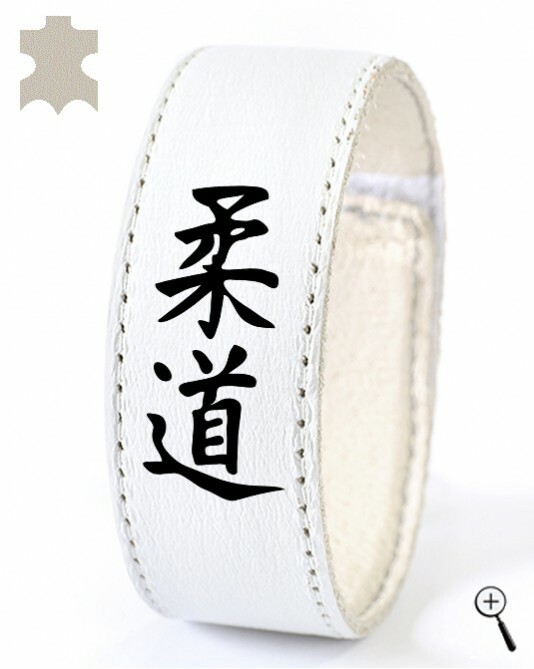 The white magnetic band with an inscription on kanji "Judo" is made of white natural leather. In the area of contact with the body, the magnetic band is made of leather, sweat absorbent, without stifling. The white magnetic band can be cleaned of contamination with lukewarm water and a soft sponge.